You have made the leap! You are ready to embrace clicker training with your horse and cross over into an exciting world of positive reinforcement training. Great! Now all you have to do is share the good news with your horse, right? But wait, he doesn’t seem to like the new work. He is showing signs of frustration, pinning his ears and wringing his tail. Ouch, he just bit you! What’s wrong? Doesn’t he like the treats? Now you are both lost and confused. Maybe your riding buddies and barn manager were right—this isn’t going to work. How to stay safe. The importance of protective contact is just as important to your horse as it is to you! 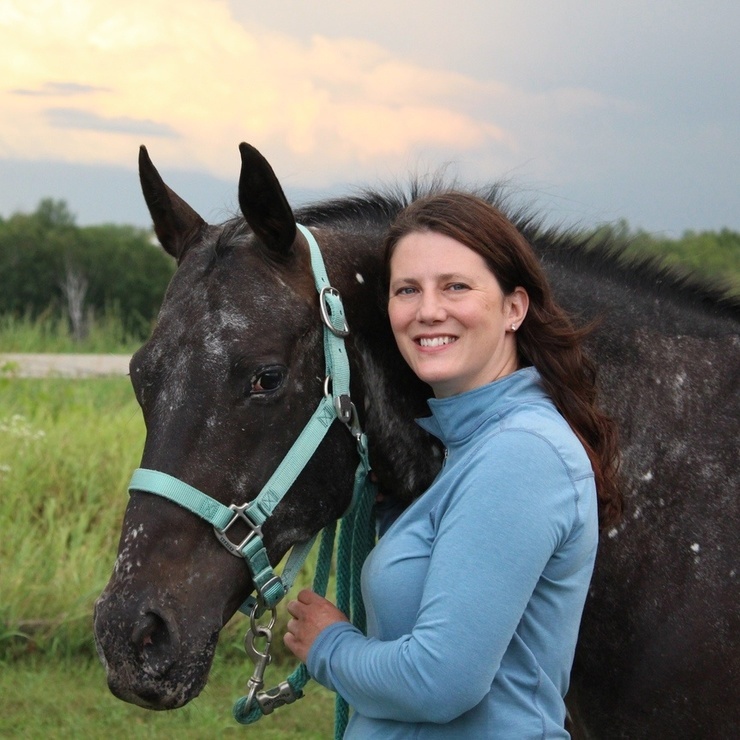 Natalie Zielinski will take you through her journey of crossing over to clicker training in the horse world and will answer some of the toughest questions new crossover trainers share. Take advantage of her humbling experience and enhance your preparation as you cross over into the magical world of clicker training with your equine friend. Natalie Zielinski is the Director of Behavior Services for the Wisconsin Humane Society. She develops and oversees the behavior assessment, enrichment, and modification programs for shelter animals, public dog-training classes, private consultations, and hands-on animal training for more than 1000 volunteers for the three-campus shelter. Natalie’s love for teaching and bridging the gap between animal and human communication has fueled her passion for more than 20 years in the animal welfare community. A successful riding competitor in open and breed shows competing across multiple disciplines, Natalie introduced clicker training to an already impressive show record. She specializes in restarting horses, overcoming poisoned cues, and engaging the shutdown horse physically and emotionally to create a willing and enthusiastic partner. These transformations come from Natalie’s extensive studies with Alexandra Kurland and with influence from classical dressage. Natalie supports the clicker training community as a coach for Alexandra’s online course. As a Certified Behavior Consultant Canine (CBCC-KA) and a Certified Professional Dog Trainer (CPDT-KA), Natalie understands the science behind clicker training and brings years of teaching experience to her craft. Her personal focus is building a community where horse and human are connected in both physical beauty and emotional balance. View Natalie’s YouTube Channel.